Unfortunately, even the most disciplined driver is not insured from accidents. And can contribute to a variety of factors: weather and road conditions, emergency situation, the human factor. But each passenger and the driver got into the car, should know the rules of conduct during an accident. Clear and concerted action, the lack of panic, will help you to survive the crash. Always buckle up in the car, at what point you would not be. Even the back seat passengers at risk of serious injury if, at the time of the accident, they are not wearing. Even at low speeds at impact the body weight of the person increases in half to two times. 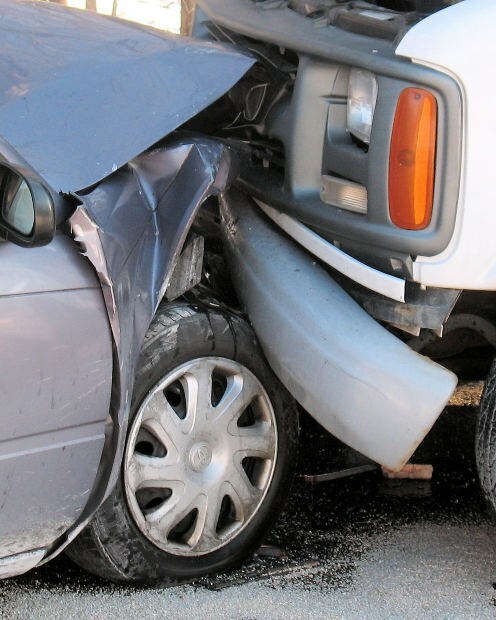 If the rear are two unfastened person, they risk injury each other with the weight of their own bodies, which during a collision can move from his seat. Especially if the passenger is dangerous for the child, even if it is in the car seat. Front seat belts hold the person to a severe blow he had not busted through the windshield. And the impact at low speed or when braking, the passenger can get a head injury, hitting on the plastic panel of the dashboard. By the way, the safest place is, oddly enough, driving. Indeed, to avoid collision, head-on, for example, the driver instinctively begins to twist the steering wheel in the opposite direction, taking the kick from the left side of the machine. Opponents of seat-belt wearing argue that the fact that the belt can cause fractures of the individual. And there are times when it is better to fly through the windshield than to stay in a burning car, without the ability to get out (when the person is unconscious). It should be noted that without a belt you can get much more terrible injuries, and taking off from the car at speed, hardly anyone who manages to survive. If the car is on fire, and you stayed in the living room, try to get out of it. To do this, unfasten the seat belt. Try to move, to check whether you got caught legs. If not, try to open the door. If they are stuck, roll down the window. But here sometimes you can deal with the fact that electric Windows and putting them down is impossible. When choosing a machine, pay attention to the rear window down using the handles. If the rear window is restricted person, try to push it out and climb through the window, and then pull all the rest. Otherwise you risk to stay in the car, because the person is unconscious, difficult to pull out from the salon. If you are caught, try to open the glass or door to provide a flow of oxygen. Because often people die not from burns, but from the acrid smoke coming from the car. If the car turned over, and you are wearing, don't panic. Rest your feet on the floor (roof) of the car, feeling for a foothold. Pulling one hand forward, Ottignies and get on all fours. Proceed carefully, if the floor is broken glass from the impact. Try to open the door or the glass and crawl out of the car. If the cabin is wounded, you first have to get outside himself, and only then to pull out of the salon victims.